Okay, never mind that the initial “Reader’s Journal’: Mini Reviews” was almost two months ago. I wrote some of these reviews in this Part 2 post (The Children Act, Canada, and A Man Came out of a Door in the Mountain) at the same time I wrote the ones in the earlier post, and looking back at them now…what can I say? It’s been a strange reading year. 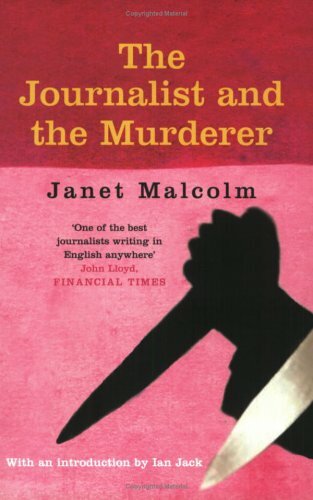 In the last two weeks or so the only book I finished was Janet Malcom’s The Journalist and the Murderer, which is a fascinating look at the relationship between the journalist Joe McGinniss and convicted murderer Jeff MacDonald, the subject of McGinniss’s wildly popular true crime story, Fatal Vision. I read Fatal Vision when I was in high school in the 1980s (and watched the miniseries as well). Malcom’s book does not focus on MacDonald’s guilt or innocence but instead on the 1989 lawsuit MacDonald brought against McGinniss on charges of fraud. McGinniss has been embedded with the defense during MacDonald’s criminal trial, and continued to correspond with MacDonald for four years following the 1979 trial while he wrote the book that would eventually become Fatal Vision. The accusation at the heart of this story is that McGinniss pretended to be MacDonald’s friend and believe in his innocence throughout their relationship and up until the book was published. The parties eventually settled out of court. Malcom takes a fascinating look at the relationship between journalist and subject and explores the very grey area regarding what a journalist should be required to reveal when trying to get a subject to tell a story—begging the question, whose story is it anyway? If you’re at all interested in the idea of narrative stories versus “Truth,” I highly recommend The Journalist and the Murderer, even if true crime isn’t your thing and even if you haven’t read Fatal Vision. I also finished Sarah Waters’s The Paying Guests. I liked it fine. I don’t know. She writes so well and Florence was a great character, but I felt like she was wasted on much of the story. (If you haven’t read it, I’m not going to go too in depth so don’t fear spoilers, but my comments might not make much sense.) The first part of the book dragged for me, mostly because I never got the charm of Lilian and by the end of the book I couldn’t wait to get away from her. I wanted more Florence, more context and more backstory on her and Chrissy. When the Event (as Jenny refers to it in her glowing review) happened, the book picked up for me quite a bit. Waters is a knockout at building tension, and as usual she renders the historical context so wonderfully that I always want to stay behind and do more exploring even after the book has ended. On the one hand I highly recommend it because it’s Sarah Waters, but I admit it’s my least favorite so far (I’ve read Fingersmith, The Little Stranger, and The Night Watch, and they’re all so different and terrific I cannot pick one as a favorite). For more favorable and thorough views, you can also see what Teresa and Ana had to say about it. In other news, I’ve been slowly working my way through Smith Henderson’s Fourth of July Creek. I was itching to buy this as soon as it was released. This is the kind of hard-knocks, dark fiction I typically have a soft spot for, but it’s slow going for me for some reason. The writing is very good, although some parts feel overwrought. And I know, I know, it’s already making everyone’s year-end “Best of” lists. Call it a mood thing. I have other books to talk about but if I continued this post would be waaaaaay too long, so I’ll just wrap with my older reviews. You’ll see my cantankerous reading attitude spreads far and wide to books everyone seemed to love this year. Oh well. I have read a few other things I greatly enjoyed (and actually one of the following will likely make my own “Best of” list), but more on them later. Several posts ago I mentioned that I had just finished writing a review of a book I didn’t like much and then read a glowing review by a critic I admire. 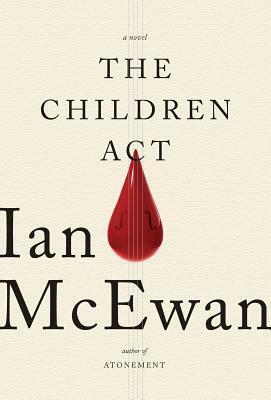 Well, Ian McEwan’s The Children Act was that book. Many glowing reviews later (from bloggers and critics alike), and I am not changing my mind. This novel simply left me cold. Even when I can see what’s going to happen a mile off, if I’m engaged in the story and with the characters, I never mind it. I thought Fiona started off compellingly enough as a character, and the legal aspect of the book (especially the outline of cases she had handled as a High Court Judge) was intriguing. Fiona is in her fifties, and committed to her work, which she enjoys and in which she takes pride. In fact, she has been so involved with work that she finds herself blindsided by a request from her unhappy husband, Mark, at the beginning of the book. Her confidence shaken, she tries to take solace in her work. At the exact moment her husband has given her devastating news, she is also called upon to sit on a difficult case involving a young Jehovah’s Witness who is being treated with an aggressive form of cancer that requires a blood transfusion. To McEwan’s credit, he is even-handed in his treatment of Adam and his family, focusing less on them as religious types and more simply as people bound by deep obligations to a faith that the parents essentially credit for saving their marriage, if not (especially perhaps in the father’s case) their lives. I don’t want to go into too much detail about the ruling and how it affects the lives of the family (and Fiona herself) afterward because it would ruin the well-managed suspense of the novel up to the moment of Fiona’s decision. If the book has a failing (for me, at least), it’s that the reader can easily guess what is going to happen after the ruling. And beyond being sort of predictable, I also found it sort of maudlin, and it serves to feed Fiona’s…well, I want to call it self-pity. I found it difficult to believe she could be so blind to what could happen, even given her absorption in her own marital troubles. 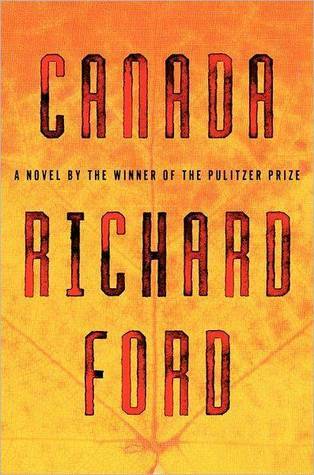 Canada, by Richard Ford, has been on my wishlist since it was released, and in August I found it on sale and read it almost immediately. Dell Parsons is fifteen when his parents are arrested for robbing a bank. The first part of the novel tells the story of Dell’s family and how his parents came to rob the bank. The second part deals with his exile, when one of his mother’s work colleagues takes him to live with her eccentric brother in a small Saskatchewan town. What to say about this book? I loved it. On the one hand, it’s a simple story—well, as simple as a story can be about a 15-year-old exiled to Canada because his parents decided to rob a bank. On the other hand…it’s timeless. In some ways, it also reads like two separate books. Dell is a little stodgy. He practices playing chess alone in his room. He’s excited about the start of the school year. He’s not popular, he doesn’t really play sports, but he holds out hope that he can study well and find his niche. One of his primary concerns after his parents are arrested is that he won’t be able to start school. And this stodgy young man is driven north to a town on an empty, wind-swept plain and left alone with a sort of Jay Gatsby gone terribly astray. It’s true—for the second half of the book, I kept thinking about The Great Gatsby, and what if Nick Harkaway had seen all the things that got Gatsby where he was, and what if Gatsby had much less control of his temper, or of circumstances in general. I highly recommend this book if you like Richard Russo, or if you enjoyed Donna Tartt’s The Goldfinch. Much like Fourth of July Creek, I wanted to love Adrianne Harun’s A Man Came Out of a Door in the Mountain from the moment I heard about it on NPR. Native girls are disappearing in British Columbia, plucked from the highway that runs through a small town that boasts a mill and not much else. Leo Kreutzer is the main protagonist, and the book alternates between his first-person chapters and third-person chapters about his friends’ experiences. The stories intertwine the difficulty of life for these teens–missing parents, alcoholism, poverty, prejudice, violence—with otherworldly tales about devils and the like. The interspersed chapters are supposed to lend a sinister quality to the main story, I guess, but they felt like a device. I would rather that Harun had focused on what was happening in the town. It’s well-written, and fans of magical realism may get more out of this novel than I did. I have The Journalist and the Murderer out from the library, and I’m excited to read it. I remember watching the miniseries, and my dad had the book. I don’t think I read the entire book, but I remember poring over the floor plans, and I may have read parts of it. 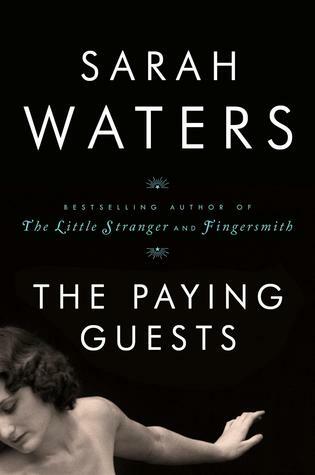 I liked The Paying Guests quite a lot, but I liked the three other Waters novels you mention more. It’s better than Affinity, which I thought was just Fingersmith-lite. Entertaining enough, but not her usual high standard. With The Paying Guests, I never quite bought into the romance between Florence and Lilian–it felt like infatuation to me. But that didn’t really take away from my enjoyment of the book. It seems like I liked The Paying Guests more than most people did! But yeah, the historical detail was absolutely superb. Sarah Waters has such a gift for it. I’d like to follow her around while she’s doing research for one of these books, just see what her process is. Jenny, I agree, I would love to know more about what sort of sources she uses, where she goes, etc. to research her books. It can’t be easy to get the atmosphere so right. Teresa, The Journalist and The Murderer is so good, but it’s really about the nature of the relationship between journalist and subject more than anything. It’s interesting that I just read this and that suddenly in the news this week we’re hearing that the case files for the Clutter family murders are being released and that they contradict Capote’s version he presents in In Cold Blood. I think you’ll find it interesting in light of that also. The book I am currently reading about the MacDonald case, A Wilderness of Error, does require more familiarity with the crime/story. As far as The Paying Guests, it’s probably a credit to Sarah Waters that she wrote Lilian so well that she annoyed me to no end. I agree that it was infatuation, and I also realize that part of Frances’s desperation for her comes from the fact that where can she find someone else? It’s not as though she could just go to a bar or have a friend set her up, and in that, Waters is wonderful at showing the constraints Frances lived under. I really did enjoy the book overall, but I expected to love it, so when I didn’t it was a disappointment. That’s me, not the book! dear priscilla, i’m so shocked and humbled at the same time that you would read my whole blog. ellie’s is the only blog i’ve done that to. her honesty and her perspective have me entranced. she has changed my life for the better. i’m so grateful to have found her. let’s hope she is doing ok. so scary.